CommUniversity day is coming up this Saturday. For your sake, I hope you’ve signed up. The day is a fantastic opportunity to interact with the South Bend community, make visible improvements in the community and have a really great time with really great people. Afterwards, everybody should come to the wrap-up picnic at the Robinson Community Learning Center. There will be free food, more great people, and a free concert hosted by ND Fighting NTDs, featuring some AcoustiCafe favorites. ND Fighting NTDs is putting on the concert to promote a really incredible project that has the potential to raise Haiti’s national IQ by ten points. The project, Notre Dame Haiti Project Salt Initiative, seeks to provide fortified salt for the residents of Haiti. Fortified salt contains Iodine and DEC, a compound that prevents Lymphatic Filariasis. All these scientific compounds have very concrete benefits. Iodine is necessary to prevent cretinism in young children. Cretinism stunts mental and physical growth, leaving young brains trapped in various stages of development. Lymphatic Filariasis, as all you faithful readers might remember, causes grotesque swelling of the limbs and drastically impedes quality of life. NDHPS already has a factory running in Haiti which produces salt for less than 50 cents per pound. Getting fortified salt to the people who need it allows children to grow up healthy, enjoying full mental capacity, the ability to learn and live. Celebrate your life and education, and learn more about the Salt Project this Saturday at the Robinson Community Learning Center, and catch some great music while you’re at it! 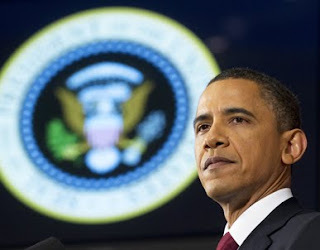 Last night Obama delivered his first speech defending his intervention into Libya. On the left, he is accused of having ulterior motives, involving us in Libya but not in other countries with similar problems. On the right, he is accused of supporting rebels who are in fact Islamic extremists. On all sides he is accused of entering into a third war. I suggest we step back and analyze the situation for what it really is, keeping in mind that while there are vague notions of precedent, when it comes to military action every single situation is somewhat different than the rest, and must be examined independently. We begin with a quick rundown of what's going on. Muammar Gaddafi the dictator of Libya has fallen in disfavor with his people. Like in other countries, they have risen up and made it crystal clear that they do not support him. A group of rebels has chosen to defy violently. While no one thinks Gaddafi is anything but dangerous, the presence of these rebels, make the Libyan revolution much more dangerous and precarious than the non violent uprising in Egypt. Adding to the madness, Gaddafi hired foreign mercenaries to come in and attack his own people. Before our involvement, the situation there had already become incredibly precarious. Enter the UN. On the world stage, we have this difficult problem where instead of some police force we have something more akin to citizen watch guards, meaning that on the world stage we are all responsible for preventing atrocities. As a result, it is all the more necessary that before intervention there is a large agreement among the various nations of the world that something needs to be done. In this case, members of the Arab world ALSO voiced their opinion that something needed to be done. Gaddafi's insanity was apparent even to them. And so the member nations of the UN authorized the establishment of a no-fly zone. Libya responded by declaring a cease fire publicly whilst simultaneously moving their army into the rebel occupied Benghazi, a rather large city where military action would have undoubtedly resulted in the deaths of untold innocents. At this point, a challenge had been issued. This dictator had asserted that if even if the UN says you need to stop and what you are doing is criminal, it doesn't matter and you can continue to kill your own citizens. The danger of letting him continue his atrocities now extended beyond this country because it would set a precedent that would void the UN of all power, and would likely cause other such dictators to follow his lead and ignore the UN's orders. So, with the backing of the UN, and with the promise that NATO would take charge in the enforcement after the initial bombing, Obama agreed to commit US troops in the air attacks on troops that were threatening Benghazi and thus preventing a massacre, as well as attacks on other anti-air targets that could prevent a no-fly zone from being enforced. We committed no ground troops and we incurred little cost. Tomorrow, as promised, NATO takes charge of the operation, ensuring that we do not bear the brunt of the cost for this universal decision. This was not a true war. We were given the unique chance to accomplish much with little cost. We saved countless lives, without a long term commitment of any kind or the commitment of ground forces. That is a substantial accomplishment. First, there is question about the rebels that we are supporting. To which I respond, "Does it matter?" Are we the kind of people who are so afraid of the unknown that we will embrace the known EVIL? Gaddafi is a madman. We can't know how the rebels feel about the US (although they expressed both desire and later gratitude for our support). We CAN know that they have the support of the people, and that they aren't the ones using foreign mercenaries to attack civilians. There is this false belief that once we intervene to prevent one madman it is our job to fill his power. That is the job of the people of Libya. We don't have to like their decision, because it is THEIR decision, not ours. I would rather live in a world of democracies that hated us than a world of tyrannical dictators that love us. Second, there is the question about involving ourselves in Libya and not other countries. The important point is this; countries around the world including Arab nations asked us for help in this matter. If the UN took a similar stance in Bahrain or elsewhere, I would hope that we would respond in the same way. But it isn't our job to decide unilaterally where something is right or wrong. The international response is what should and did make Libya a place in which we could intervene. Third, some have questioned what our long term goals are. The goal of the world powers in the UN was to stop the atrocity before innocent lives were lost. The solution was a no-fly zone, something which is designed to contain the current regime and limit its ability to do harm to its citizens, whilst still not taking on the direct and difficult task of regime change. The US's particular goal was to help establish this zone so that NATO could maintain it. We did exactly what we set out to do, which was to limit the ability of Gaddafi to kill innocent civilians. Regime change may result from these actions as well, and that may be a positive or a negative thing, but it need not be and was not the direct and immediate goal. Lastly, there remains the most complicated question about the matter of Congress and their role. The Constitution is clear that the Congress has the power to declare war. Unfortunately for us, it does not define war, which makes the situation more complicated. The Constitution simultaneously places the President in the role of Commander-in-Chief, making him responsible for the army in all military actions short of war. As I said above, we are not at war with Libya by any conventional standard. A limited military action of this kind simply does not require Congressional approval. In a bi-partisan or non-partisan Congress, this matter need not have ever been an issue. But lives were at stake in Libya, as Gaddafi's troops marched towards Benghazi, and our notoriously slow Congress filled with Republicans who oppose the President simply because of his party affiliation, could not and would not have acted in time to prevent a bloodbath. And the UN had to wait on us because we have chosen to make ourselves the dominant military power in the world, and that entails responsibilities. The military is never to be used lightly. War should be avoided at all costs. But when in this global world we have the ability to save so many innocent lives from tyranny with so little cost, to do anything less is to turn our backs on the ideas of liberty and freedom in which we believe. The Supreme Court will begin hearing arguments in the largest discrimination lawsuit in U.S. history today. The plaintiffs hope to represent over a million women that have been passed over for promotion, pay raise and other benefits in favor of their male colleagues by your favorite evil corporation and mine: Walmart. The case began in 2001 after Kwapnowski became fed up with being passed over for promotions and pay raises. According to Kwapnowski, Wal-Mart was "hiring men off the street...men who never even had a day's worth of Sam's Club experience were coming in and I was the one training them." These men would then become her team leader. Two weeks after she filed the first suit, Kwapnowski was finally and magically recognized by the company and promoted Source. She found women who shared her story and extended the suit to include all women who have worked in Wal-Mart Stores, Inc. assets since December, 1998. In the effort of full disclosure, I have never worked for Wal-Mart Stores, Inc., nor have I actually been inside of a Wal-Mart store of any sort, but I am a woman. And as a woman and a reasonable human being, I support Kwapnowski and the other plaintiffs in their efforts. Maybe they will take the megacorporation down a notch, but I doubt it. This is not the first, second, third, fourth, or fifth time Wal-Mart was awful, and I guarantee it won't be the last. This is just another one of company's attempts to kick people down, hoping they won't fight back. Here's to pushing back and not taking no for an answer! I wish the plaintiffs and everyone involved (except, you know, Walmart) good luck. The decision should be returned in late June. Editor's Note: This article was written by a guest contributor, Nick Scott, a recent graduate of the University of Florida who is a health and political advocate. Frequent readers of our blog are encouraged to send ideas to my e-mail crhodenbaugh@gmail.com for posts. Lefty's retains the right to select only high quality posts with appropriate content from submissions, but welcomes the opportunity to have our readers do guest columns!! · Protecting the public from destruction caused by mountaintop mining. · Allowing the public to review offshore drilling permits. · Prohibiting oil companies from being exempt to the Clean Air Act while drilling in the Arctic. If the proposed legislation becomes law, we will see the EPA practically abolished. The consequences of such an event will prove to be devastating for the quality of our air, water, and public land reserves. Without the regulations set forth by the EPA, environmental toxins will have free reign over the environment where they will slowly and silently ravage the ecosystem. “We all have to make do with less during these difficult economic times, but these radical cuts to necessary federal agencies and programs would do much more harm than good,” said Charles D. Connor, President and CEO of the American Lung Association. “Health will be harmed and lives may be lost as a result of these proposed cuts. Carbon emission regulation saves money on the collateral costs of things such as health insurance and hospital bills. Slashing the funds of climate control programs is not the answer we need!